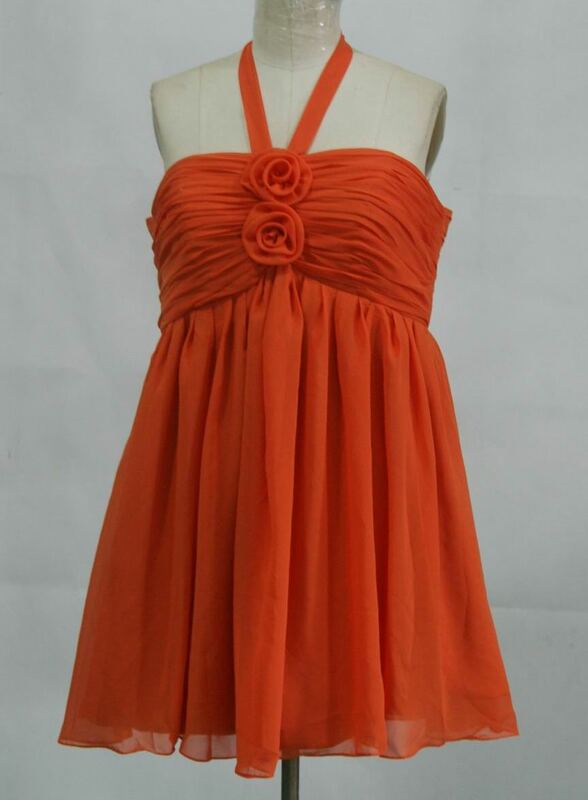 Here a sample of our dresses shown in orange. 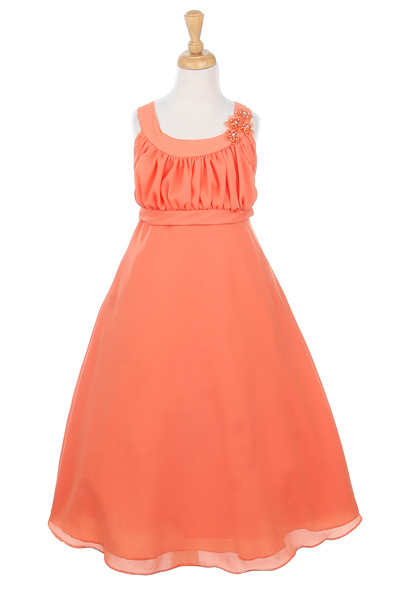 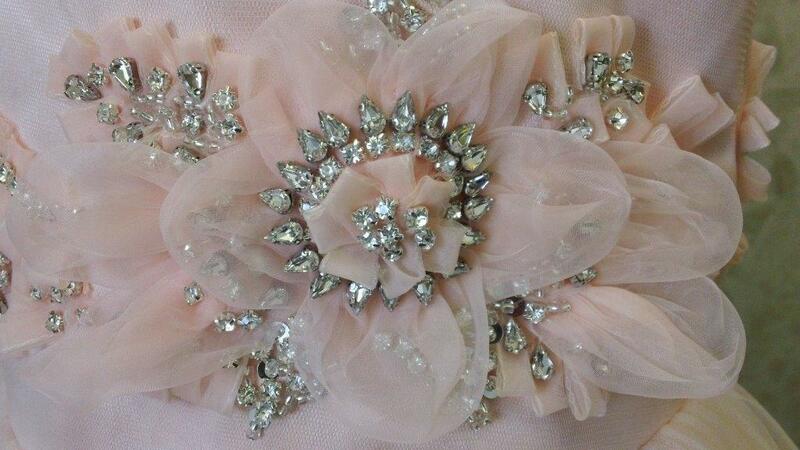 However remember any our dresses can be made in shades of orange. 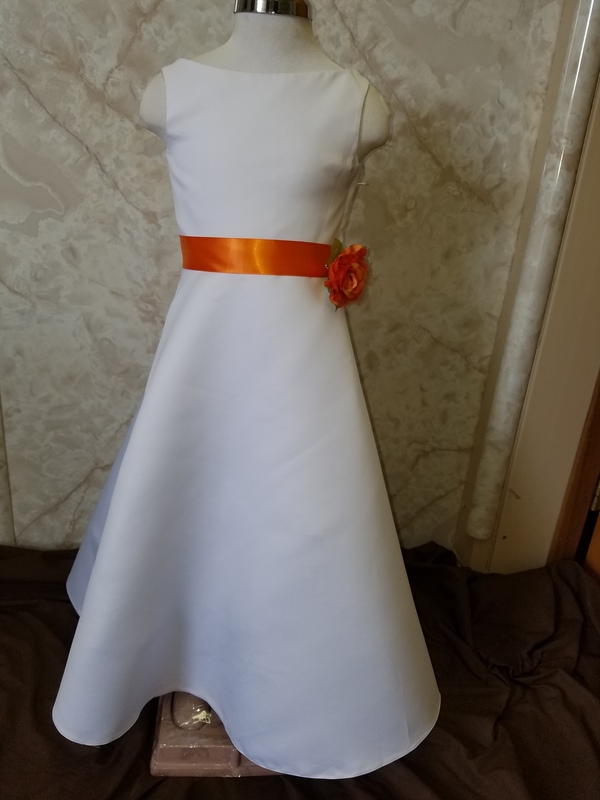 $170 Long chocolate and pumpkin spice pickup bridesmaid dresses. 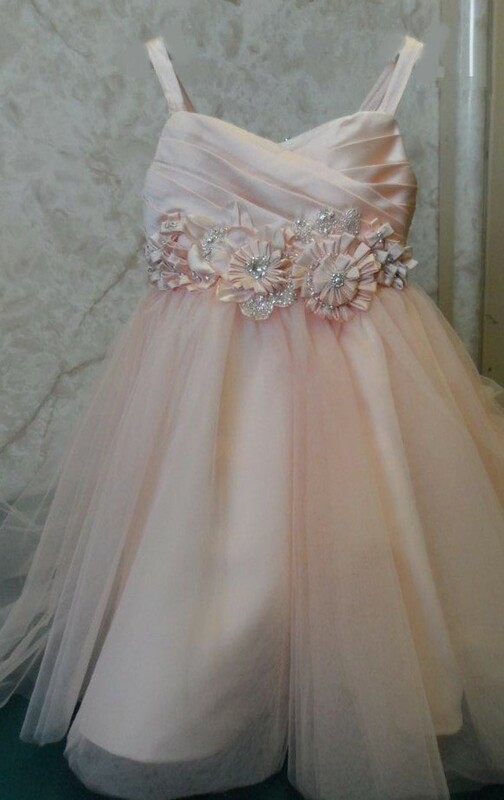 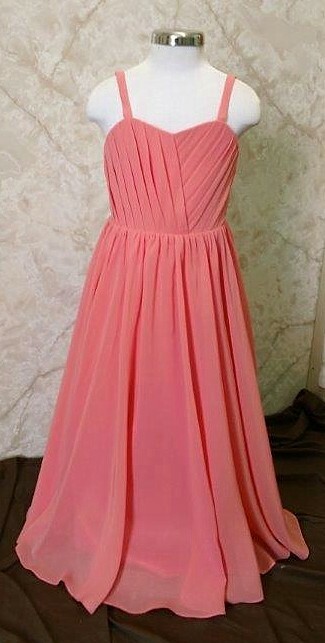 Coral Chiffon Strapless Sweetheart Bridesmaid Dress. 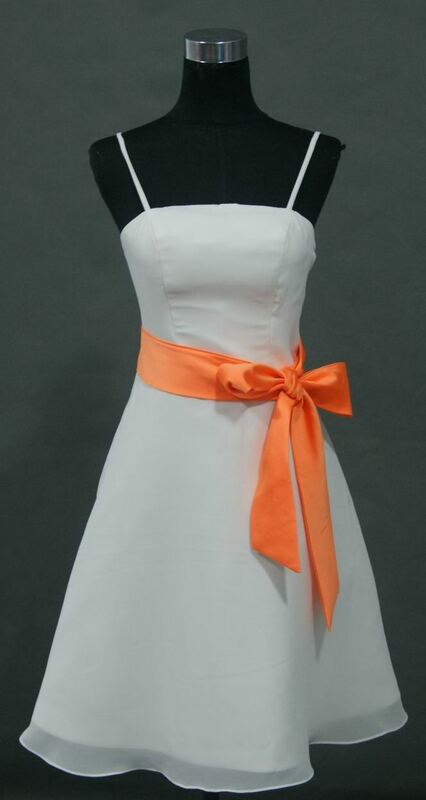 Chiffon strapless rich fall dress with a sweetheart neckline, satin band with bow at the empire waist and is knee length. 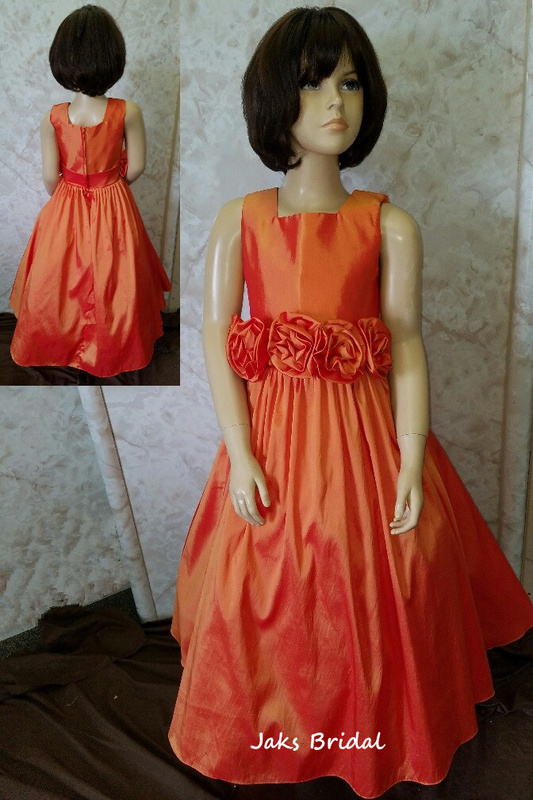 in your dress shade of orange. 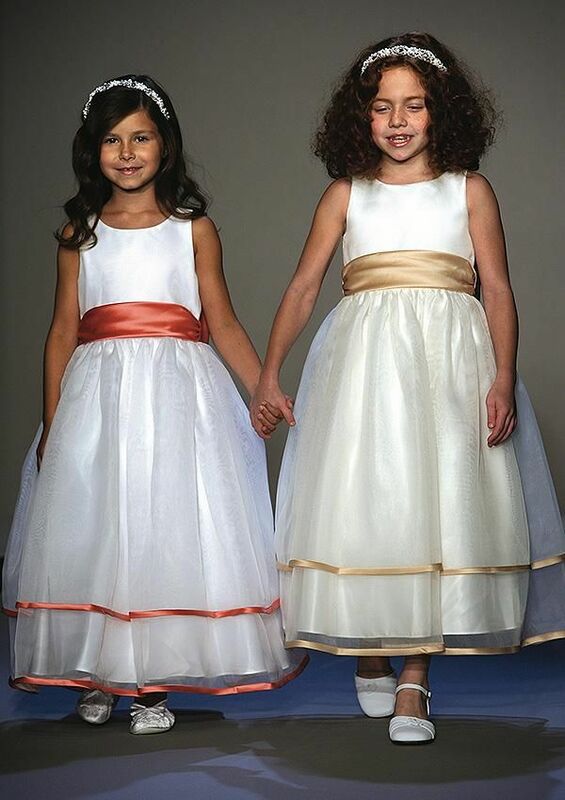 Chiffon strapless bridesmaid dress with empire bodice, soft sweetheart neckline and a princess line skirt with draped overskirt. 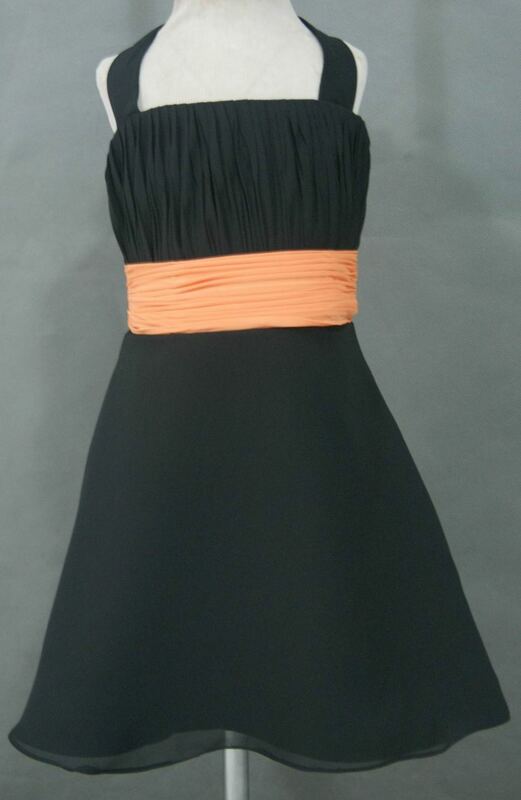 Strapless dress with horizontal ruched bodice side sweep full skirt.